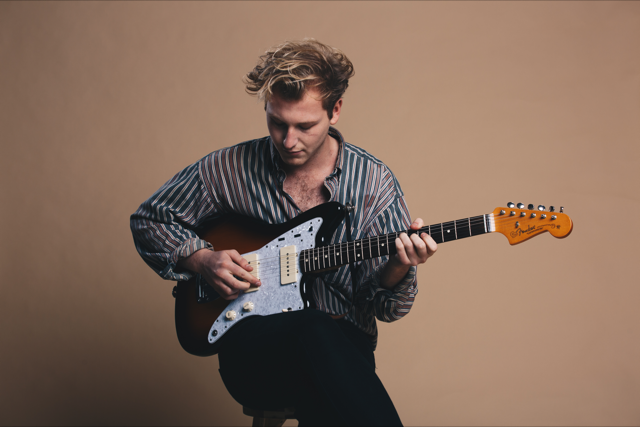 Jack - "I don't know what it is about the vibe on my single, it is very intimate, it is me adding little bits of life into a song and putting it out there. When I started to do this in a bedroom, it sounded very personal and intimate. I can't think of loads of acoustic songs with Trampolene they are not usually what people connect with the band, it is not how we are seen in the public eye. That is more like loud guitars and big drum sounds. The poems may be, we are sticking to it and people slowly coming around, it is like climbing up a ladder with no arms or legs." The decision to take a step outside his day job as frontman with Trampolene and release a double A side single featuring "Swim Up" and "It's Not My Thing" is definitely one to be endorsed for Swansea boy, dreamer and dole queue poet Jack Jones. BBC Radio's Huw Stephens premiered both tracks last month and digital editions have been available since. On Friday 7th September the two tracks will be available as digital download, on limited edition 7 and on CD through Mi7 Records. Trampolene only just announced a UK headline tour presented by This Feeling - Alive last night and there is little doubt that being the frontman, singer, guitarist, songwriter and poet in the London based three piece is busy and super hectic. Admired and respected in guitar music circles, the big achievements are becoming harder and more challenging to keep track of; at first it was the completion of the tour with Liam Gallagher last year, a subsequent recent support slot at Finsbury Park, delivering a massive set at BBC's Biggest Weekend in Swansea and a show at the O2 in Bristol with Kasabian. Jack also performed at the O2 in London in front of a crowd of 20,000 with The Libertines and in his role as lead guitarist for Peter Doherty & The Puta Madres. Things really are happening on a bigger scale now. Stepping up really helped Trampolene develop, transform what is so good about them in the first place and turn that into something even greater. 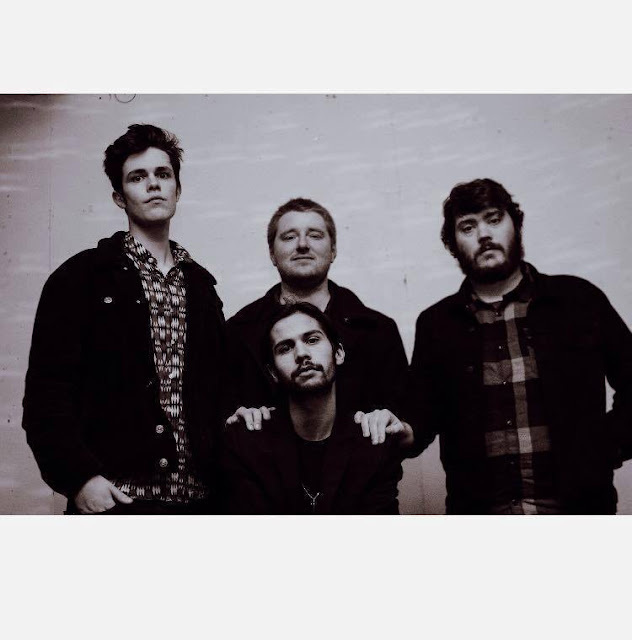 The interest in their music is on the rise, as is their ever growing fanbase. Titled "Pick A Pocket Or Two" the band are about to release a 28 track compilation album featuring songs and poems not included on the band's debut album "Swansea To Hornsey". Our first question is going to have to be when did you write the new solo tracks? "I can't say exactly when the ideas for the songs came up. I had been working on them for a while, because I keep doing drafts of a song and I get lost sometimes. They were mixed recently and sounded so good to me that I thought 'Let's just do it!' and you know I have got nothing to rest back on, I have got to keep writing." "I am not very good at holding things back, it is not my style, I am working and writing so much just now. 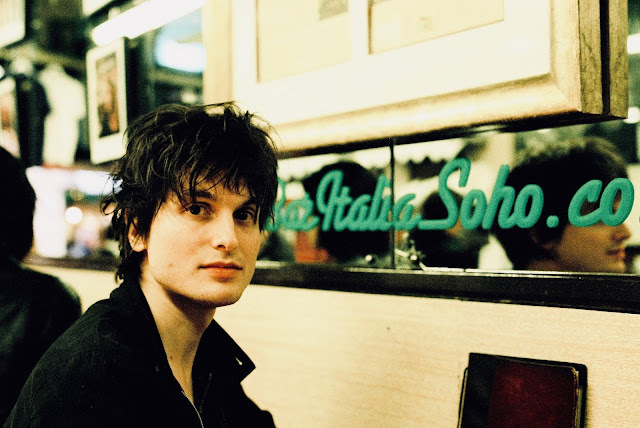 I was doing this solo material as well, it did not fit a Trampolene album, so I was like 'shall I do it separately?' It feels really good to put it out now, make no big deal of it and release some good music, that is my job really." "Swim Up was the third song we wrote together. At that time I was surrounded by the romance of a blossoming relationship and flew off to Paris for the very first date - quite cliched I guess, but it was the European Cup in France and Wales was playing, so I didn't mind watching the match under the Eiffel Tower. It resulted in something beautiful including the birth of "Swim Up" which was basically part of my first ever conversations with my dearest." Is your plan to release more solo material? "Yes I think there is more to come. I get to show a different side of myself. In a way it is similar to Trampolene in a lot of ways. The thing is with guitar music these days people can connect with me in a different way and they can see that Trampolene are there for a reason. I thought it might help to paint the picture all over it." "I don't know what it is about the vibe on my single, it is very intimate, it is me adding little bits of life into a song and putting it out there. When I started to do this it was done in a bedroom, it just sounded very personal and intimate. I can't think of loads of acoustic songs with Trampolene, they are not usually what people connect with the band, it is not how we are seen in the public eye. That is more like loud guitars and big drum sounds. The poems may be, we are sticking to it and people are slowly coming around, it is like climbing up a ladder with no arms or legs or something." You worked with well-known producers, do you want to talk about that experience? "It was Mike Moore (Liam Gallagher's band). We came into each other lives and it just happened like that, we had not really thought we were going to do stuff, we weren't sure it was going to lead anywhere or it was going to happen but it was quite clear that when we got together magical things really did happen. He made a bet with me actually, because I was all about rock 'n' roll and the poems being almost separate." "It was like a combination of everything that had been before and everything that should have been there, if I was dreaming of a modern band, if I wrote poems like John Cooper Clarke, played solos like Jimi Hendrix. I thought 'wow that is exactly why I have always kept them separate' but Mike was like 'let's just try and experiment with them' and he was absolutely right." Mike is a great person, musician and producer, how do you view his contribution to your recordings? How did the collaboration with Jamie Morrison of Stereophonics come about? "Mike is one of the nicest people in the world, you just could not meet a sweeter man, he is really lovely and Liam Gallagher is incredibly clever, he has some of the best ideas. It is a strange world isn't it? He has been amazing for us, we can see how far we can ride it you know or shine it." "Jamie is close with Mike, so he got involved that way and he has been keeping an eye on us. He has always been really helpful with Trampolene, he has given us loads of moral support, belief and saying to us we are amazing and making sure we keep going even when things are tough, come back and work in a band. I go on tour for ages and then I come back to work and stuff but we will see it has been amazing I am in an unusual position." "People like Peter Doherty, Mike Moore and Liam Gallagher are no different to me, they are my friends, it is just like seeing Wayne or someone, I really like the kind of 'how was your day, what have you been up' to kind of thing. As people they are no different from anyone else, apart from the fact they are mega successful, they are all human, they all the same complicated human emotions as anyone else does." "Yes it came from the fans, we picked the titles from a load of suggestions from the Facebook page because we have been putting stuff out regularly, everyone was just like, why don't you put everything that was not on the album on a record, like half of the record is a load of rockier stuff and the other half is acoustic, some of my best poems are on there and my best songs, so it is really good for us too." "Because lots of people are saying just take the songs offline and keep releasing them as new songs but i can't, I just want to keep it going. There is a Trampolene sound and we have put it together in a beautiful way, listened to what the fans wanted so it is about the track listing and the way it is put together, a lot of that is down to them, it has come through so well, we owe everything to our fans really." "We are all on the same kind of journey, we have all got the gift of life and if you just meet some people along the way, there is always a reason for it. We always have time for people because that is what makes us what and who we are, you have got to be able to listen, help and react." "I really like Hendrix and Neil Young. John Frusciante does interesting stuff. I also love Bert Jansch, his guitar playing really inspired me. Like a lot of his songs with the fingerpicking guitar parts I have adapted from him, he is a huge influence, I play the electric guitar even more now, using the electric guitar is interesting when applying that style to a different sound." "I also used to love a load of Swansea bands that really inspired me growing up including a band called The Caves and Nikolai. I would be desperate to be the guitar player in those bands, I followed them around and learnt all their songs, kept playing their songs as fast as they did so I could prove that I was better all that kind of stuff. All of my guitar heroes were up on my wall." "Thank you very much, it might be a case of randomness like my own amps, everything is unique. It is just a mash up of stuff, I have had to adapt a lot because of how Wayne plays the bass, he has such a full sound so it is about figuring out the frequency he has got per second and that sometimes makes me play things in different ways you don't necessarily expect." What was it like to play the BBC's Biggest Weekend in Swansea? "That was mad, because we were 30 feet away from my school where I grew up so it was very odd and also playing with Taylor Swift but we still had the die hard fans there, it was special and also weird when I saw my face on the wonder wall of Welsh musicians, it was like Tom Jones, Nicky Wire and then me as well. I think they messed up there." "Yes I love to just be able to play any time really, as soon as you are on stage with the boys, the lights come on it is like nothing else really matters you know, just let everything out in every way and it is almost like therapy for me in a funny way. Making sure my guitar and me are just continuing our relationship." 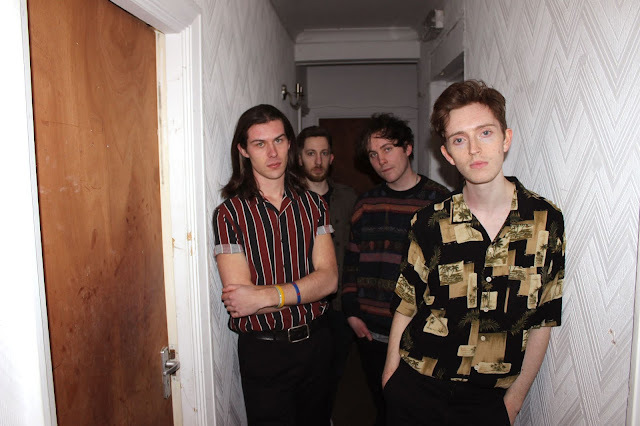 "That was amazing, it was quite a shock because we did not find out about it until shortly before it was due to happen, so it was very much like 'Wow we are supporting Kasabian. I got to meet Sergio Pizzorno and he is really kind, just such a lovely soul, he was so nice to us, it was a great crowd too, everyone was singing along so that was cool, it was all a bit mad in a good way. We have got our rock and indie credentials now, we have made our own mark on things." What do you take from the big shows? "Getting more fans is great but a gig is a gig and I always imagine that I am playing in a millennium stadium even if I am playing the Dog House in Swansea. 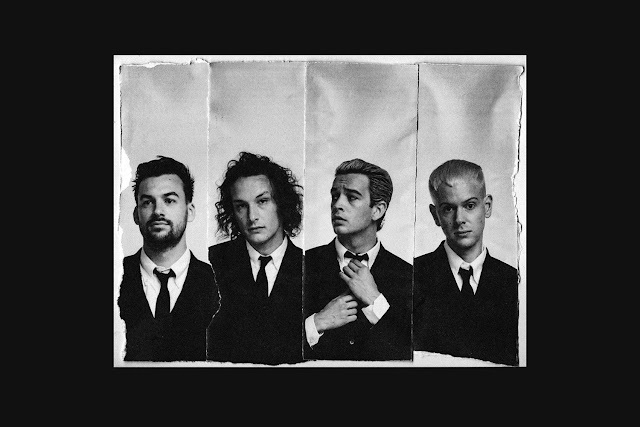 I think collectively as a band we are getting better all the time from doing a certain amount of practice in a small room, we have just done so many shows now on different stages, we have got used to playing and adapting to a new stage and still be able to do something unique." "I love it. In a way it is a lot easier to play a big stage. You come out and it is like everything is there. Usually at our gigs a lot of people are falling over and onto the stage, there is no gap between the crowd and you, so it is a totally different thing to get used to. There is a lot of people out there but they are miles away from me." "It took us a few shows to get the sound right, I had to get another amp and we then had to figure out how to make the guitars sound amazing in this kind of setting but it really has changed the band, we sound so much better live now with the guitars, so it is practical as well." "I still can't believe that happened actually, I have to pinch myself sometimes because I always wanted to play there, it was my biggest dream and now I have done it, it was such a special night. There has been some sort of transformation somehow somewhere. Thank you, I am glad it was not just me thinking that. I don't know if it is the Liam Gallagher shows. We bonded in a certain way, maybe we just get better it is hard to say. It might be a combination of those things." What music do you listen to at the moment? "I have a sleep playlist, been listening to some piano music for a while and I love it. I like hearing music in its purest form, just the piano playing or just the guitar playing so musicians like Glen Gould who is a brilliant piano player is really interesting to me. He had an interesting life and his recordings are fascinating because he sang along quietly, so you can always hear his voice a little bit at the back of the recording." "If you want to watch a performance you should watch Glen Gould play the Emperor Concerto, it is 45 min long but it is an unbelievable 45 min. The story is that they were doing this big broadcast somewhere and the piano player who was supposed to play the part could not do it and did not turn up so Glen Gould had one day to learn the Emperor Concerto which is the hardest thing you can ever play on the piano. When you watch it you realise that it is beyond genius and I really think it is something else." "His life story really draws you in, he died when he was young, he had a stroke, he was on a life support machine, his father turned it off so it is a sad story. If you check his story out you will get obsessed with him too, I tend to obsess about great musicians, Elliott Smith is one of my main influences. He is definitely up there for me, probably the biggest one, bigger than all the other ones that I have mentioned." 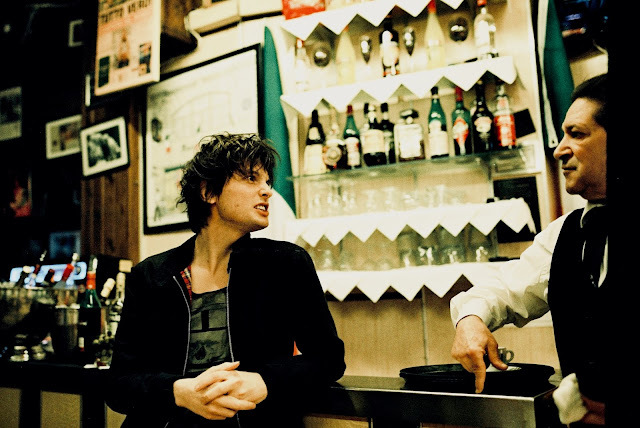 What sort of album release plan are Trampolene working to? "It is our goal and dream to release a second album. I do not know when it is going to be done yet, we are still trying to get as much studio time as we can and then go from there. We are in Kunk, we are having a great time and really loving it there, it is just the best studio. We got to know Ray Davies, he helped us move up there and he has always looked after us, it is pretty cool, I pinch myself. He is always popping his head in and I am like 'is this song better than Waterloo Sunset?' and he is like 'no no no', that is when I know I have got to keep writing." Are you enjoying things just now? "I can't even think too much about it, I just like to keep going. We don't want to stop and we want to go much further, it seems like we are in an OK position but it can always be better. That is the curse of being human isn't it?" "I hope people can get everything they ever want from me just by listening to the songs but god knows if I ever get myself far enough, it all needs to be real in order for it to last. I always thought that the more real I could make my music, the longer it would last and that is what I am trying to do." 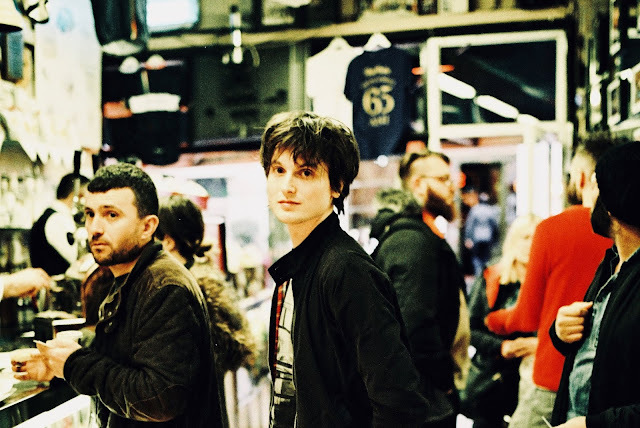 Jack Jones - "Swim Up" and "It's Not My Thing"
Trampolene - "Pick A Pocket Or Two"